Not judging at all, but just curious what other women do? 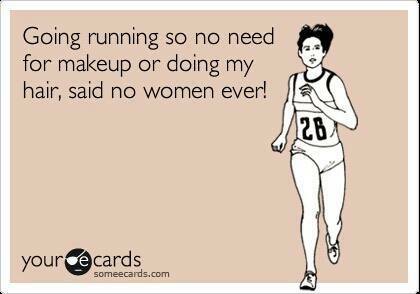 Do you put on makeup to go run? This entry was posted in Favorite Run Facebook Posts, Women's Running. Bookmark the permalink. Do you buy the fun color running shoes?